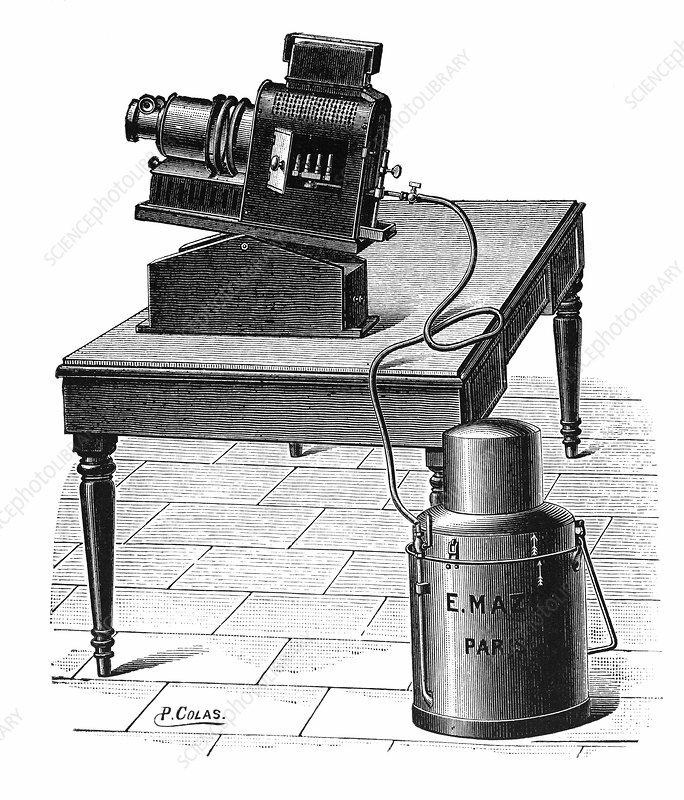 Acetylene-powered projector. Such lighting systems were used before the adoption of electrical lighting instead. This acetylene power system was constructed by E. Mazo of Paris, France. Artwork from the first volume (1897) of 'La Revue Scientifique et Industrielle' by French chemist and inventor Jules-Louis Breton (1872-1940).